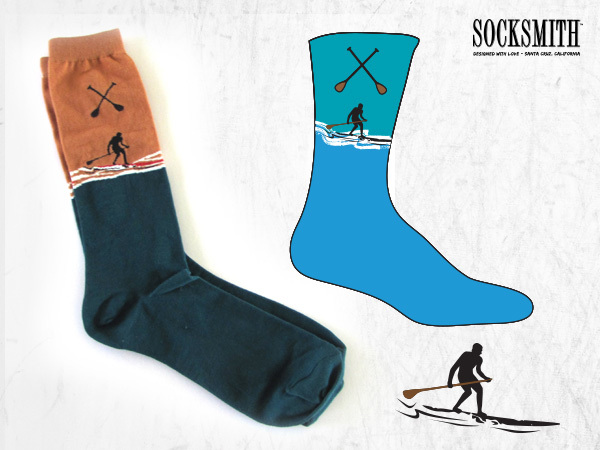 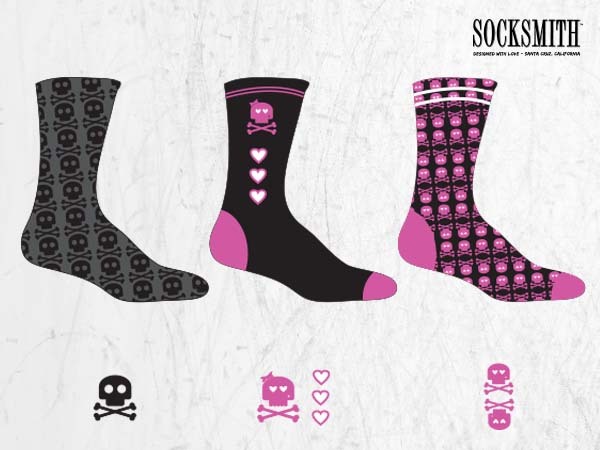 Product sock graphics working from drawings and then creating in illustrator to final production. 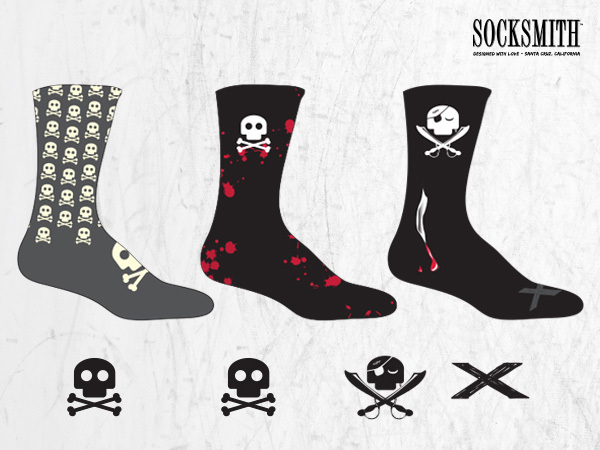 Some designs don’t make it and some designs do. 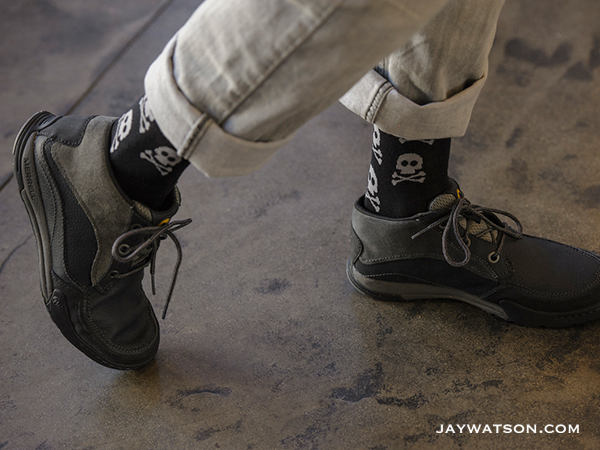 It is always nice to see them in retail stores and on the feet of happy people. 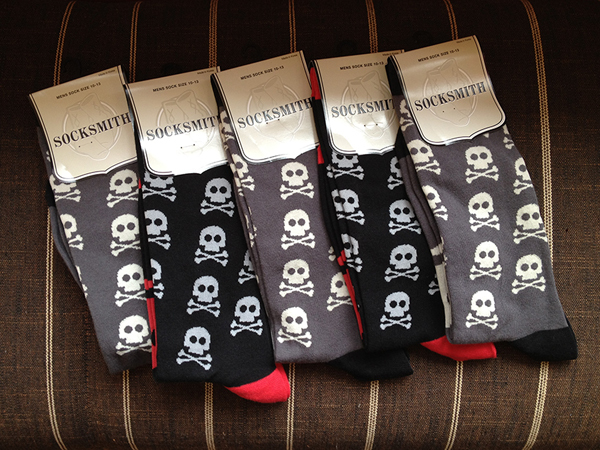 Locally owned in Santa Cruz Socksmith makes great socks. 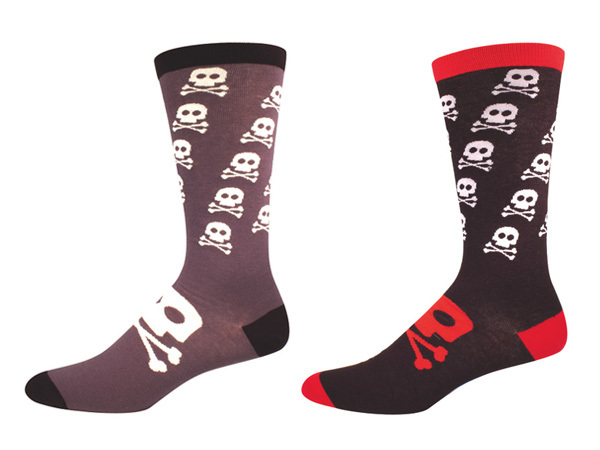 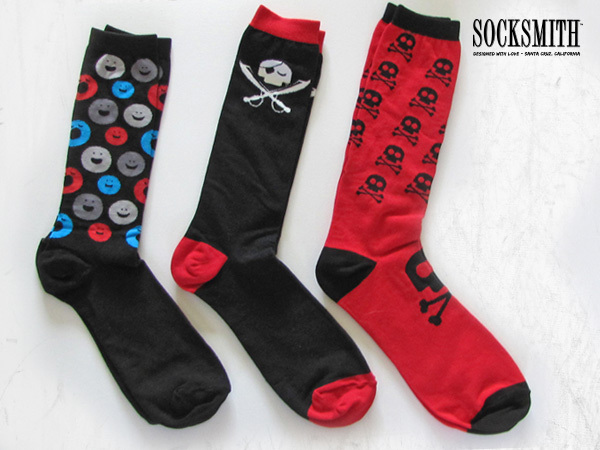 Skull Sock, Pirate and the Happy Face men’s Sock.